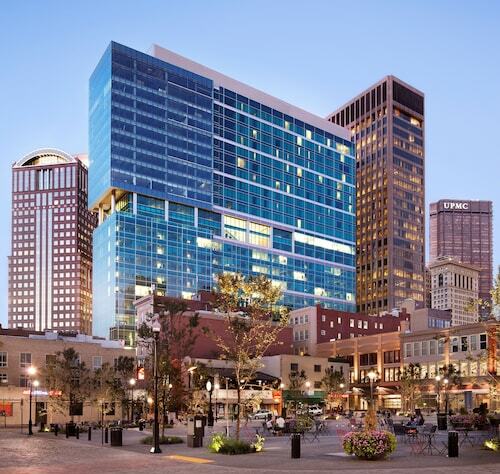 Located in Downtown Pittsburgh, this hotel is within a 5-minute walk of U.S. Steel Tower and David L Lawrence Convention Center. Benedum Center and Heinz Hall are also within 10 minutes. Steel Plaza Station and Pittsburgh Station are within a 5-minute walk. 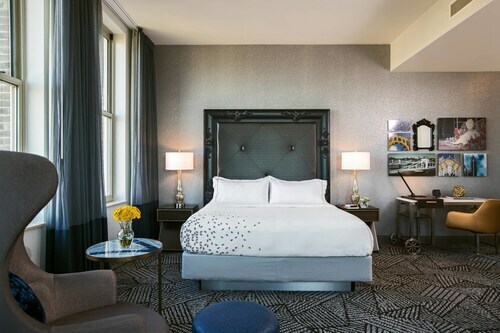 Located in Pittsburgh's downtown entertainment district, this hotel is two blocks from Heinz Hall, a quarter-mile from PNC Park, and a half-mile from the Andy Warhol Museum and the convention center. 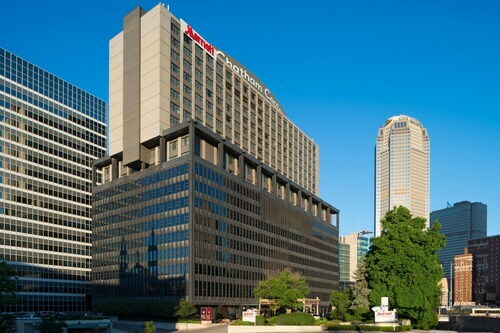 This centrally located hotel is a block from the PPG Paints Arena and 5 blocks from the David Lawrence Convention Center; across the street is a subway station for complimentary rides to PNC Park and Heinz Field. 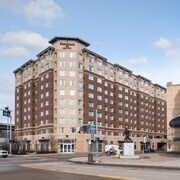 Located in Strip District, this hotel is within a 10-minute walk of Senator John Heinz Regional History Centre and David L Lawrence Convention Center. Benedum Center and Heinz Hall are also within 15 minutes. Pittsburgh Station is only a 5-minute walk and Steel Plaza Station is 13 minutes. This downtown Pittsburgh hotel is across the street from CONSOL Energy Center and 1 block from Duquesne University. Point State Park, Station Square, and Andy Warhol Museum are all 1 mile away. 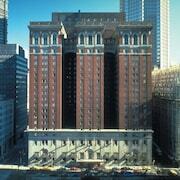 Located in Downtown Pittsburgh, this hotel is within a 10-minute walk of Allegheny County Courthouse and Market Square. PPG Paints Arena and Benedum Center are also within 15 minutes. First Avenue Station is only a 3-minute walk and Steel Plaza Station is 5 minutes. 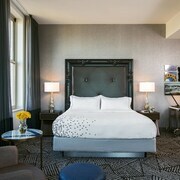 How Much is a Hotel Room in Downtown Pittsburgh? 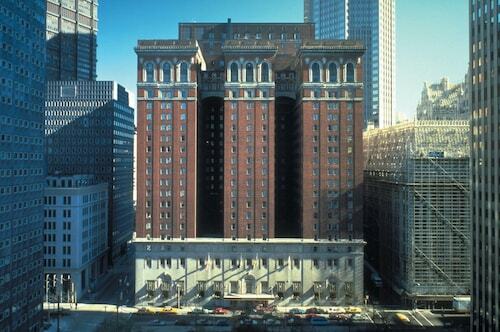 Hotels in Downtown Pittsburgh start at $120 per night. Prices and availability subject to change. Additional terms may apply. Is life pointing you toward a getaway to Pittsburgh, Pennsylvania? Known as the "Steel City," Pittsburgh is an ideal spot to enjoy major sporting events, world-class art, and increasingly tempting options for foodies. Book a room into one of the downtown Pittsburgh hotels, and let your adventure unfold. You'll be glad you did! Pittsburgh vacation bundles can put you in the middle of Downtown Pittsburgh. It's the city's central business district, but it also includes a booming cultural zone. When weather permits, you can enjoy outdoor, mid-day concerts in the park along the river, and the theater, music, and dance performances are attention-grabbers all year long. 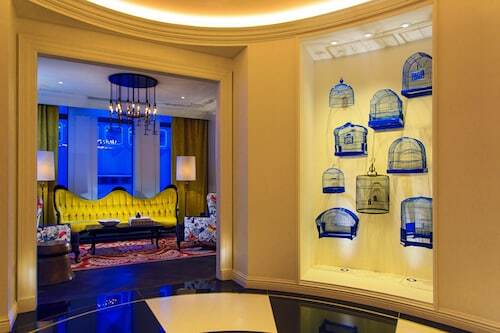 Hotels in Downtown Pittsburgh settle you temptingly close to The Strip. This up-and-coming area is known for its artisan crafts, local food vendors, wine bars, and trendy (and delicious) restaurants. From there, you can walk over to the Heinz History Center. Not only providing a history of the city, it also exhibits the rise of professional sports and the development of local industry. Just across the Allegheny River, you can tour the Andy Warhol Museum. Warhol was one of Pittsburgh's most famous denizens: the seven-floor museum showcases his work and provides a glimpse into his life. Nearby, you can catch the Steelers play at Heinz Field, or the Pirates run the bases at PNC Park. Your hotel near Downtown Pittsburgh is only a 6-mile drive from the Pittsburgh Zoo and PPG Aquarium. Kids will love the interactive exhibits at the aquarium, and the elephants and red panda at the zoo are not to be missed! You should also take the trolley up the Duquesne Incline up Mount Washington. From above, you can see the three rivers of Pittsburgh intersect, and the photo history of Pittsburgh at the museum is fascinating. Visiting "The Golden Triangle" has never been easier, or more budget-friendly. And with their burgeoning culinary scene, interactive animal exhibits, exciting sports teams and other impressive attractions, Pittsburgh has never been more tempting. Get mobile exclusive deals on the Travelocity app, and book your Pittsburgh flight today! I like that the rooms are affordable and suitable for what I need it for.